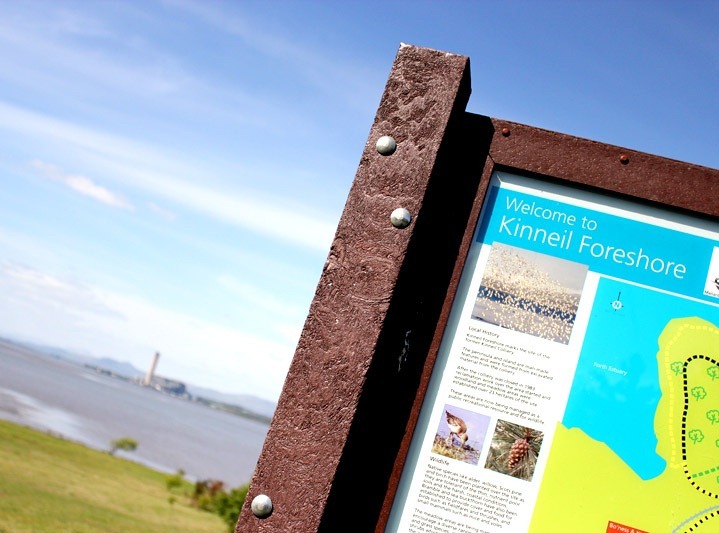 THE KINNEIL foreshore could have formal “local nature reserve” status by this summer. The site – just north east of historic Kinneil Estate – was once home to Kinneil Colliery, the last pit in Bo’ness. Falkirk Council has agreed to start talks with Scottish Natural Heritage (SNH) in a bid to win the new status for the site. If approved, the reclaimed site – already supported by The Friends of Kinneil charity – would get better protection for its plants and wildlife and have better opportunities to access new funding. The mudflats and “island” off the foreshore are internationally important for seabirds and are already designated as a Special Protection Area for their conservation value. If approved, the new “Local Nature Reserve” area would stretch from Bo’ness harbour in the east to the site of the former Kinneil Colliery and Snab Lane in the west. Throughout the 19th and most of the 20th centuries much of the area was used by heavy industry but all the building and structures associated with the former colliery are now gone. The area is now a public open space of grassland and woodland, with a good network of paths already in place. Funding was secured from the Woodlands in and Around Towns (WIAT) initiative in 2006 to carry out a wide range of environmental improvements including woodland management, path maintenance and new interpretive panels. In September 2010, a public meeting was held to set up a group to help manage the Foreshore site, in conjunction with staff from the Council. This group has become part of The Friends of Kinneil, a charity which already works to promote the neighbouring Kinneil Estate, which borders the Foreshore area. The group has already organised a number of projects along the Foreshore including litter picks, woodland management and clearing scrub. It has also worked with Council staff to improve the linkages between the Foreshore and Kinneil House and Estate and to improve car parking. New direction signs at the Foreshore are to be installed later this year. The site will be the Falkirk Council’s second Local Nature Reserve – Bonnyfield in Bonnybridge became an LNR in 2008. This entry was posted in Uncategorized on February 28, 2012 by ed.